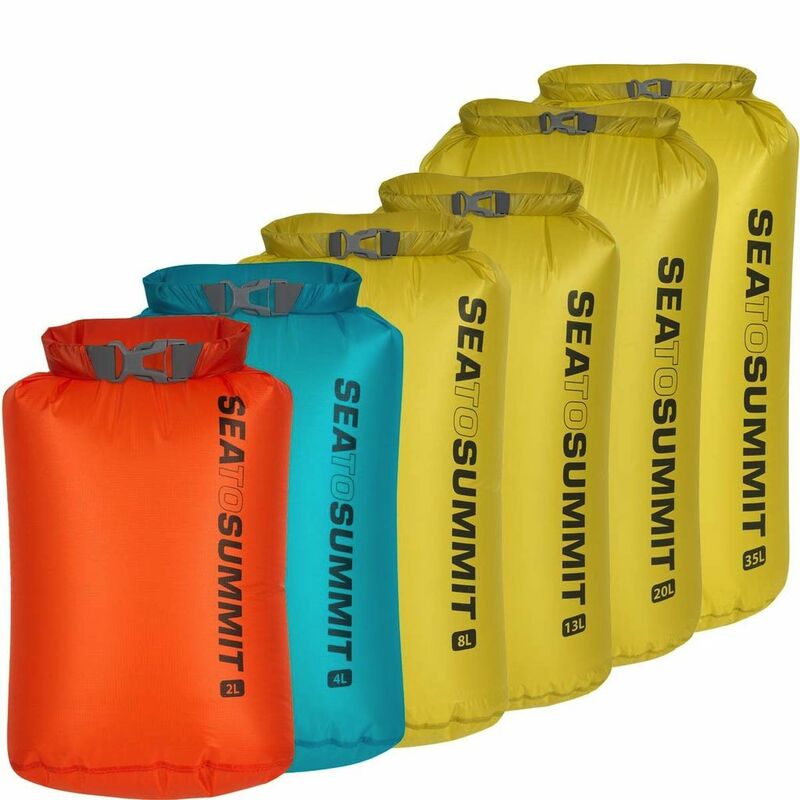 30% lighter than Sea to Summit's UltraSil Dra Sacks, these nano bags are made of 15D Sil/PU Nylon fabric, which has a fantastic strength to weight ratio. They are fully feam sealed, have a Hypalon roll top closure that doesn't wick moisture AND reinforced stitching for seam strength. You can't do better for waterproofing and organising your gear.